KENNEDY SPACE CENTER, FL – The fierce competition for lucrative launch contracts from the U.S. Air Force just got more even intense with the announcement that SpaceX outbid arch rival United Launch Alliance (ULA) to launch an advanced military Global Positioning System (GPS III) navigation satellite to orbit in approx. 2 years. The U.S. Air Force has announced that SpaceX has won the national security contract to launch a single next generation GPS III satellite to Earth orbit in the first half of 2019. The contract award is valued at $96.5 million. “SpaceX is proud to have been selected to support this important National Security Space Mission,” Gwynne Shotwell, President & COO, told Universe Today in a statement in response to the GPS III award. The GPS constellation of navigation satellites is vital to both military and civilian users on a 24/7 basis. “Space Exploration Technologies Corp., Hawthorne, California, has been awarded a $96,500,490 firm-fixed-price contract for launch services to deliver a GPS III satellite to its intended orbit,” the Air Force announced in a statement. There could be as many as 15 Air Force launch contracts awarded this year in competitive bidding between ULA and SpaceX. The upshot is that ULA’s decade long near monopoly on national security launches has now been broken several times in the past year with SpaceX outbidding ULA based on the price of their newer Falcon family of rockets compared to ULA’s long established Atlas and Delta rocket families. Last year SpaceX won the competition to launch the first GPS-III satellite on a Falcon 9 rocket in 2018 with a bid of $82.7 million after ULA decided not to enter a bid. “We appreciate the confidence that the U.S. Air Force has placed in our company and we look forward to working together towards the successful launch of another GPS-III mission,” Shotwell elaborated to Universe Today. ULA did not bid on the first GPS III contract citing the lack of availability of “any Atlas engines available to bid” and other contract factors as the reason for not submitting a bid for the 2018 launch based on the request for proposals (RFP) for the global positioning satellite. The Atlas V is powered by Russian made RD-180 engines, who’s import for military uses had been temporarily restricted by Congress following the Russian invasion of the Crimea. The launch price was a deciding factor in the winning bid. “Each contractor had to prove through their proposal that they could meet the technical, the schedule and the risk criteria,” said Claire Leon, director of the launch enterprise directorate at the Air Force’s Space and Missile Systems Center, during a media briefing. SpaceX has been snatching away numerous launch contracts from ULA other launch providers across the globe with their substantially lower rocket prices. SpaceX has been hiring while other firms including ULA have suffered layoffs. So in response to competitive pressures from SpaceX, ULA took concrete steps to dramatically cut launch costs and end dependency on the RD-180s when CEO Tory Bruno announced in April 2015 that the company would develop the new all-American made Vulcan rocket. Vulcan is slated for an inaugural liftoff in 2019. The Air Force expects SpaceX to achieve a rapid turnaround from winning the bid to actually launching the GPS satellite by April 2019. “Contractor will provide launch vehicle production, mission integration, launch operations, spaceflight worthiness and mission unique activities for a GPS III mission. Work will be performed at Hawthorne, California; Cape Canaveral Air Force Station, Florida; and McGregor, Texas, and is expected to be complete by April 30, 2019,” said the Air Force. Only SpaceX and ULA bid on the GPS III satellite launch contract. The Air Force opened up military launch contracts to competitive bidding in 2015 after certifying SpaceX as a qualified bidder to launch the nation’s most critical and highly valuable national security satellites on their Falcon 9 booster. Until 2015, ULA had a near sole source contract with the USAF as the only company certified to bid on and launch those most critical national security satellites. New space upstart SpaceX, founded by billionaire CEO Elon Musk, then forced the bidding issue by filing a lawsuit suing the Air Force. In response to the lost GPS-III bid, ULA touted their demonstrated record of 100 percent success launching more than 115 satellites. “United Launch Alliance continues to believe a best value launch service competition with evaluation of mission success and assurance, and past performance including demonstrated schedule reliability, is appropriate and needed for the Phase 1A missions given the technical complexities of rocket launch services and their critical significance to the war fighter and U.S. national security,” ULA spokeswoman Jessica Rye told Universe Today. The most recent ULA launch for the Air Force took place days ago involving the stunning Delta blastoff of the WGS-9 high speed communications satellite on March 18, 2017. SpaceX has suffered a pair of calamitous Falcon 9 rocket failures in June 2015 and Sept. 2016, destroying both the rocket and payloads for NASA and the AMOS-6 communications satellite respectively. So the U.S. Air Force should definitely be balancing risk vs. reward with regard to lower pricing and factoring in rocket robustness and reliability, regarding launches of national security satellites which could cost into the multi-billions of dollars, take years to manufacture and are not swiftly replaceable in case of catastrophic launch failures. ULA’s workhorse Atlas V rocket successfully delivered the final GPS satellite in the IIF series to orbit for the US Air Force on Feb 5, 2016. At that time the Global Positioning System (GPS) IIF-12 navigation satellite completed the constellation of GPS IIF satellites that are critical to both military and civilian users on a 24/7 basis. The Atlas V rocket delivered the GPS IIF-12 satellite to a semi-synchronous circular orbit at an altitude of approximately 11,000 nautical miles above Earth. “GPS III is the next generation of GPS satellites that will introduce new capabilities to meet the higher demands of both military and civilian users,” according to the USAF. A Delta IV rocket launched from Florida today, sending a next-generation Global Positioning System satellite into orbit. The rocket lifted off at 12:10 UTC with the GPS IIF-3 satellite that will be part of the GPS system that is used by both civilians and the military. The new satellite will replace a 19-year-old navigation satellite in the global system that includes 31 operational satellites on-orbit which broadcast position, navigation and timing information to people around the world. The satellite, built by Boeing, is the third of 12 planned launches to provide improved GPS signals, featuring improved anti-jam technology, more precise atomic clocks, an upgraded civilian channel for commercial aviation and on-board processors that can be reprogrammed in flight, according to CBS News. The new satellite should be operational by November. UPDATE: ESA has announced a new launch time for Friday, October 21 at 10:30:26 GMT (6:30 EDT). The problem was caused by a leak inside a valve. The Galileo system is being launched as a new GPS system, which will provide more than double the coverage and more accurate locations than the current US-provided Global Positioning System. The launch was originally scheduled for last year, bad weather delayed the construction of the Soyuz launch facility. 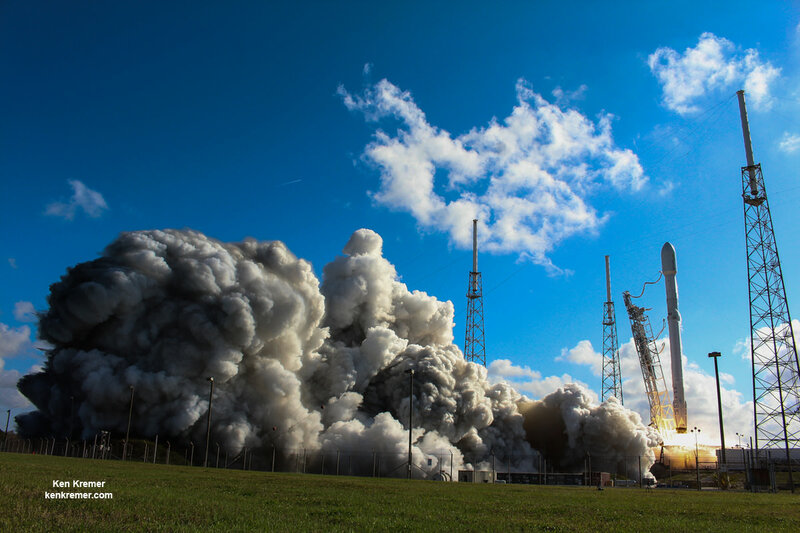 The first in a series of next-generation GPS satellites launched late Thursday from Cape Canaveral launch Complex 37 on board a Delta IV rocket. The Air Force’s Global Positioning System GPS IIF SV-1 satellite blasted off at 11 p.m. EDT on May 27, 2010, after overcoming three different launch aborts over the last week due to weather and technical glitches. Following its three hour, 33 minute flight into orbit, the new satellite has reached its orbit 18,000 km (11,000 miles) above the Earth, joining a constellation of 24 other GPS satellites that aids in military operations and helps civilians navigate the planet. Boeing, who built the satellite for the Air Force, said they acquired the first on-orbit signals from the new satellite early Friday, and all indications are that the spacecraft bus is functioning normally and ready to begin orbital maneuvers and operational testing. This new era of GPS satellites are solar powered, designed for a minimum 12-year life. There will be a constellation of 12 of these new navigation satellites, which will have twice the signal accuracy of previous GPS satellites and are equipped with a new signal capability for more robust civilian and commercial aviation applications, Boeing said. For the United Launch Alliance, which prepared the Delta IV rocket, this was the 41st successful launch in the 41 months and six days since the company was created as a joint venture between Lockheed Martin Corp. and Boeing Co. This launch also marked a milestone for the Delta rockets. The first Delta rocket, called a Thor-Delta booster, launched 50 years ago on May 13, 1960. The Delta IV was first launched in 2002, and this is the rocket’s 13th successful flight. GPS IIF-SV1 is the first GPS satellite to launch on a Delta 4. Previous navigation satellites were launched on the smaller Delta 2 boosters, and upcoming GPS IIF constellation satellites are expected to fly on the Delta IV rockets or Atlas 5 boosters.